Sony has announced the price and availability of tactile models which will hit the market, including VAIO laptops, ultrabooks hybrid or AIO all in one, for the launch of Windows 8, which fortunately is slightly cheaper than expected. The star of the new range of touch with Windows 8 is the VAIO Duo 11, an impressive tablet convertible ultrabook 11 inches that we loved in form and seeking balance (not easy to do) between the two segment. 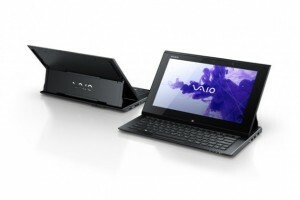 The basic model of VAIO Duo 11 includes a microprocessor announced Core i3, 4 GB of RAM and SSD of 128 GB for a price of $ 1,100. Somewhat more restrained than expected for a true display of design and technology that will have superior equipment options. 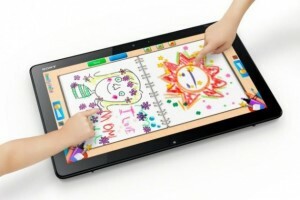 Another innovation is found in the VAIO Tap 20, an AIO all-in-one with 20-inch screen diagonal widescreen, capacitive touch technology concurrent ten points and it is like giant tablet for its battery included although heavier than 5 kilograms. VAIO Tap 20 basic equipment shall consist of microprocessor Core i3, 4 GB of RAM and a hard disk of 750 GB with a price of $ 880. Other products to be noted that Sony has updated with Windows 8 ultrabook VAIO T 13 and T 14 from $ 770 or VAIO E14P a standard laptop that has been added touch technology, the star component of these new Sony along the new operating system from Microsoft, and will be available from 26 October. 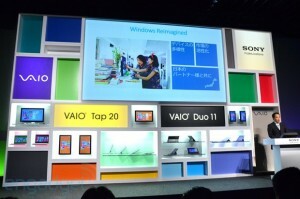 This was all regarding the prices of Sony VAIO Duo 11, VAIO Tap 20 and VAIO T Windows 8 devices.